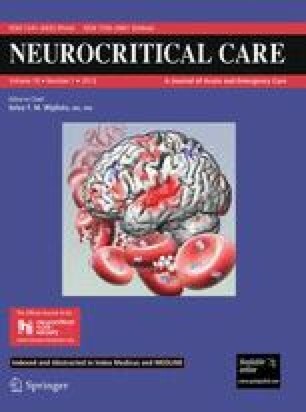 Fever and hematoma growth are known to be independent predictors of poor outcome after intracerebral hemorrhage (ICH). We sought to assess the distribution of temperature at different stages in relation to hematoma growth and functional outcome at 90 days in a cohort of ICH patients. Data of patients registered in the Virtual International Stroke Trials Archive—ICH were analyzed. Temperatures at baseline, 24, 48, 72, and 168 h were assessed in relation to the hematoma growth and functional outcome at 90 days. We calculated the daily linear variation of each subject’s temperature by subtracting 37 °C from the maximal daily recorded temperature (delta-temperature). We used logistic regression and mixed-effects models to identify factors associated with hematoma growth, poor outcome, and temperature elevation after ICH. 303 patients were included in the analysis. The average age was 66 ± 12 years, 200 (66 %) were males, median admission NIHSS was 13 [Interquartile range (IQR), 9–18), median GCS was 15 (IQR, 14–15). Hematoma growth occurred in 22 % and poor functional outcome at 90-days occurred in 41 % of the patients. Cumulative delta-temperature at 72 h was associated with hematoma growth; age, ICH score, hematoma growth, and cumulative delta-temperature at 168 h were associated with poor outcome at 90 days. Factors associated with fever in mixed-models were day after onset of ICH, hypertension, base hematoma volume, intraventricular-hemorrhage, pneumonia, and hematoma growth. There is a temporal and independent association between fever and hematoma growth. Fever after ICH is associated with poor outcome at 90 days. Future research is needed to study the mechanisms of this phenomenon and if early protocols of temperature modulation would be associated with improved outcomes after ICH. This study was conducted on behalf of the VISTA Collaboration. The members of Collaboration committee are listed in Appendix. Dr. Rincon has received salary support from the American Heart Association (AHA 12CRP12050342). K.R. Lees (Chair), A. Alexandrov, P.W. Bath, E. Bluhmki, L. Claesson, S.M Davis, G. Donnan, H. C. Diener, M. Fisher, B. Gregson, J. Grotta, W. Hacke, M.G. Hennerici, M. Hommel, M. Kaste, P. Lyden, J. Marler, K. Muir, R. Sacco, A. Shuaib, P. Teal, N.G. Wahlgren, S. Warach, and C. Weimar. D. F. Hanley (Chair), B. Gregson, K. R. Lees, P. Lyden, K. Muir, T. Steiner, S. Mayer.